If you drive for an hour in the rush hour, you’ll spend more time ,stuck in traffic. The cycle can get you there faster. An early morning ride might seem like a hard task but, the bright side is the blissful sleep after a good ride. Cycling accelerates your breathing and heart rate, which helps to stimulate the contraction of intestinal muscles. Step on the pedal, give your brain a medal. That’s because cycling helps build new brain cells in the region responsible for memory, which deteriorates from the age of 30. Forget apples. Moderate amount of cycling makes immune cells more active, so they’re ready to fight off infection. Bikes are efficient! Save fuel, save money, Save our planet! Exercise before work or lunchtime improves time and workload management, boosting your confidence levels and managing stress. 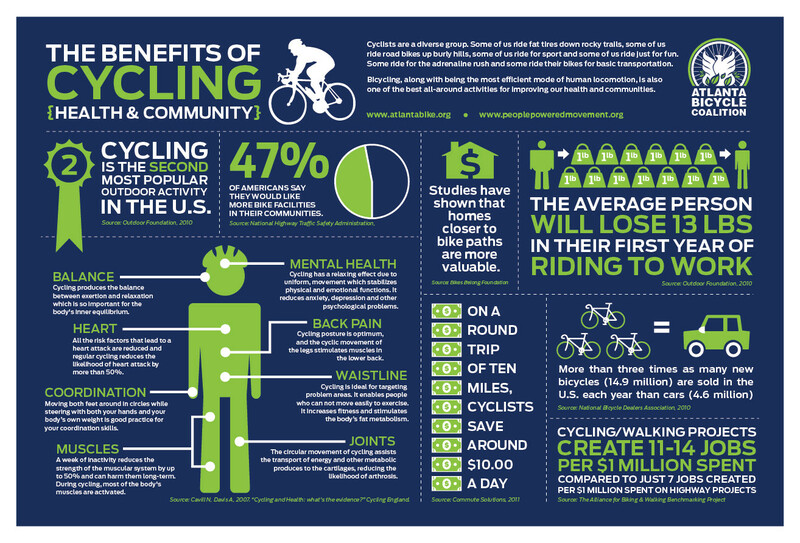 Cycling helps solve mental blocks and make decisions. It boosts at least one measure of creative thinking. The flow of oxygen to your grey matter triggers your neurons, giving you a good measure of breathing space for your creative mind. This is applicable to all endurance athletes. Cycling increases the amount of happy hormones in the frontal and limbic regions of the brain- areas known to be involved in emotional processing and dealing with stress.